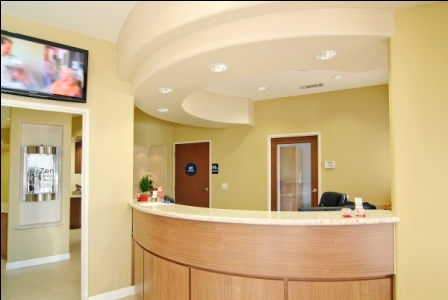 Welcome to Zen Dental Group in Santa Maria, CA! We are very excited to provide quality dental care for you utilizing state-of-the-art technology in our brand new Santa Maria, CA office, serving all areas of Santa Maria, Orcutt and Lompoc Areas. We chose the name Zen Dental Group because our mission is to provide you with the highest quality oral health care in a comfortable and relaxing environment with a commitment to uncompromised professional service to each patient. Our company logo is the Chinese character pronounced “chéng”, which means honesty and integrity. That is what we strive for during our encounters with you. We do not over diagnose or over treat our patients and we want to treat you as if you are a part of our family and friends. As UCLA graduates, we were trained to provide individualized treatment through an open and honest communication with our patients. We offer comprehensive restorative and esthetic dentistry while working with a team of dental specialists who share our same visions in providing uncompromised professional service to our patients. One of our goals is to build and maintain an eco-friendly dental practice. We strive to “provide more by wasting less.” We have the latest technology in digital x-ray, intraoral photography, and brand new energy and resource efficient equipment which produce less carbon footprint to our environment. Our digital x-ray system is also safer for our patients, requiring less radiation compared to traditional x-rays. We look forward to meeting you and helping you create the healthy smile you always wanted. Give us a call or click on the following link to make an appointment today. Enter your information below to request an appointment or to submit any questions or concerns.